This equipment manages the Incident Detection task at the roadside where the traffic data is readily available. This eliminates the need to provide 1 second occupancy data to a remote processor and greatly reduces the communications overhead with the roadside equipment. The Traffic Manager retains full control over the incident response with the ability to download the variables associated with the incident algorithm to the roadside on a lane-per-lane basis during initialisation of the equipment. 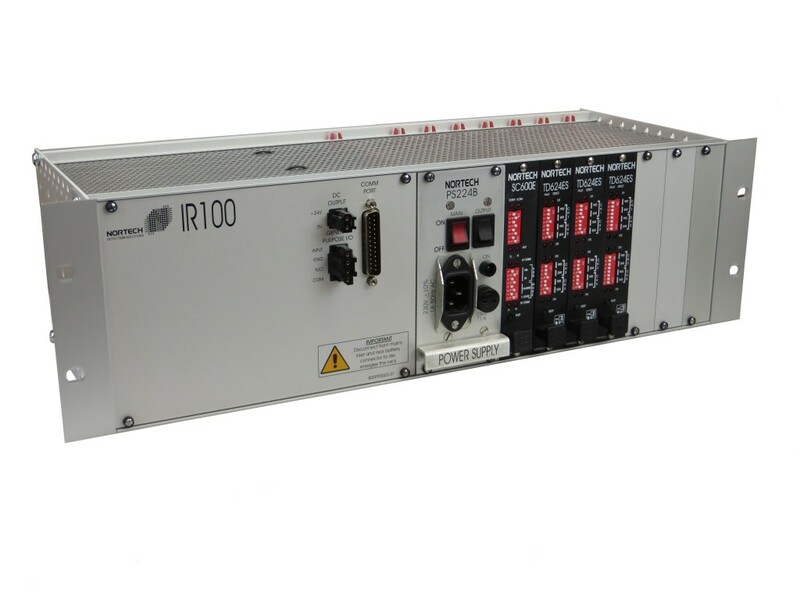 Multi – Lane Data – The IR100i can monitor 24 loops (or 12 lanes in speed measurement mode) at vehicle speeds to 200kmH. Traffic Data collection– Average (period) data relating to traffic volume, speed, headway and % occupancy or optional “per-vehicle” reporting. External Serial Port – RS232 (point – point) and RS485 multi-drop communications options available at Baud rates from 2400 to 38,400. 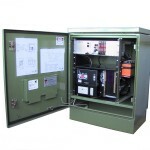 Built in battery charger – The equipment power supply has an integral charger for a 12V standby battery and auxiliary 12V supply for communications modems. Reliable / low maintenance – The IR100 equipment has an enviable field record for long service / low maintenance. Equipment approvals – The IR100 equipment fully complies with European and Australian standards for EMC, Electrical safety and environmental immunity. Typical roadside TMU cabinet equipped with an IR100.